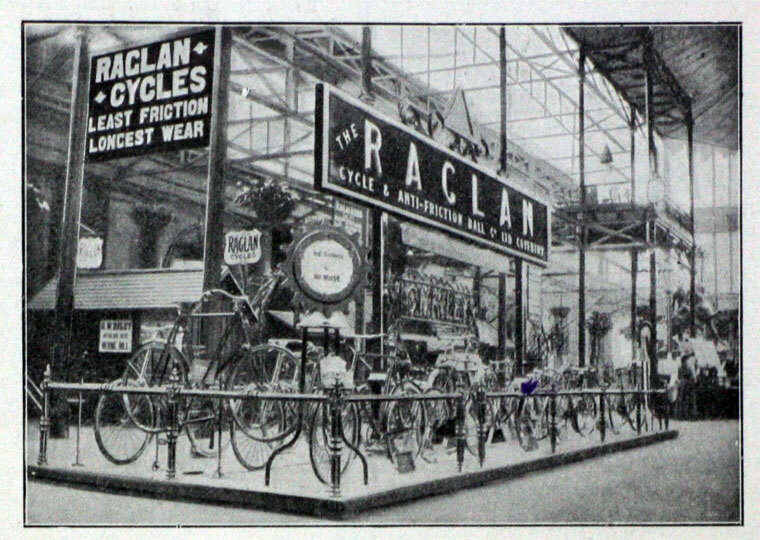 Raglan were motorcycles produced in 1903, in Coventry. 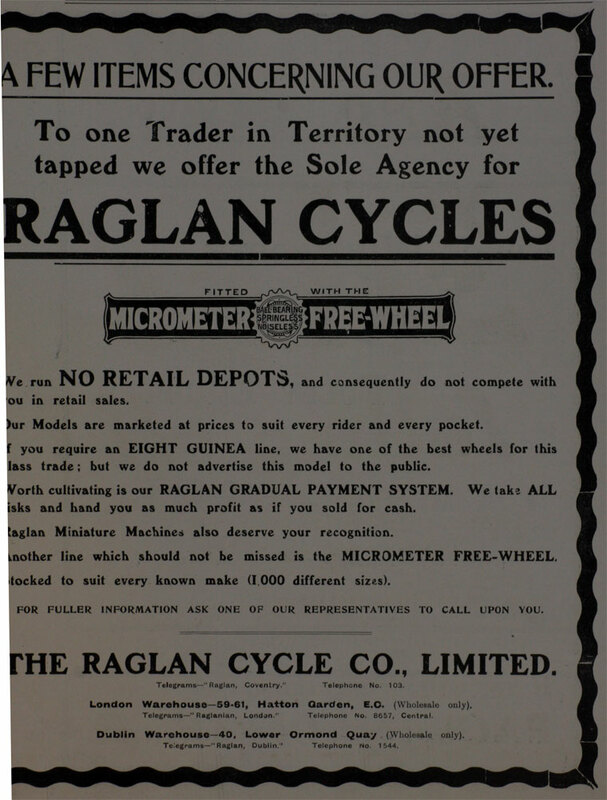 1899 Produced an automobile - the 'Raglan' - that was a modified Benz. Possibly twelve made. 1903 Exhibited at the 1903 Motor Show (Stanley). The machine was said to have a stout frame and excellent 2.75hp engine. They also showed a forecar with a 3.75hp engine, fitted with a water-cooled cylinder head. It was very short lived. 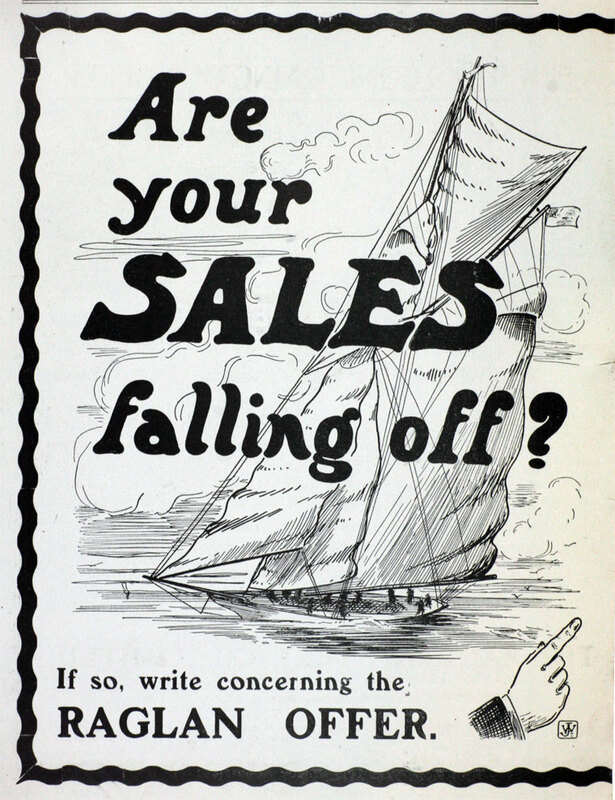 1905 Application to reduce the share capital from £120,000 to £40,000. 1921 Company listed to be struck off. This page was last edited on 8 February 2018, at 00:17.